Burke Landscape Supply is happy to now offer Encore Power Equipment. Encore is a division of Worldlawn Power Equipment Inc. They are a premium line of commercial mowers. 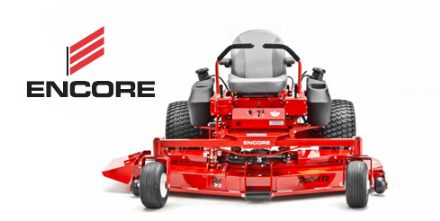 We are happy that you have taken the time to discover what Encore mowers can do for you. Encore began in 1988. They are a full line of high quality mowers that get the job done right the first time. In addition to easier maintenance, precision blade alignment, and tough durability, they have an industry leading warranty. Encore strengthens your hand and protects your investment. 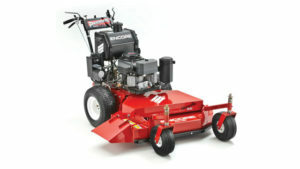 In March 2011, Worldlawn Power Equipment, Inc. purchased Encore. Encore’s future is bright. Worldlawn focuses on growing the Encore brand by building high quality mowers with heavy duty components. Most of all, Encore mowers have details that make routine maintenance much easier. With their great pricing, the Encore brand will continue to grow. Encore mowers and Burke Landscape supply, a great team. Burke Landscape Supply offers our insight to keep your equipment running like new. We repair Encore and most other brands of landscape equipment. We are the one stop for all your landscape supply sales and repair service. Whether you’re a landscaping contractor, lawn maintenance company, or resident, look to Burke Landscape Supply for your landscape supply needs. Come to our main site in Trainer or visit our northeastern Delaware County location in Clifton Heights. We have the repair and parts to help you keep your landscape and snow equipment running like new! Do you need landscape replacement parts? We sell commercial parts and accessories including replacement blades, filters, spindles, pulleys, tires, and more. Call our stop by today. Our professional sales staff will be happy to help you. We deliver landscape material to locations in the Delaware Valley. Visit our materials website. Click Here.